The Huckins Fairform Flyer draws its lineage from WWII. 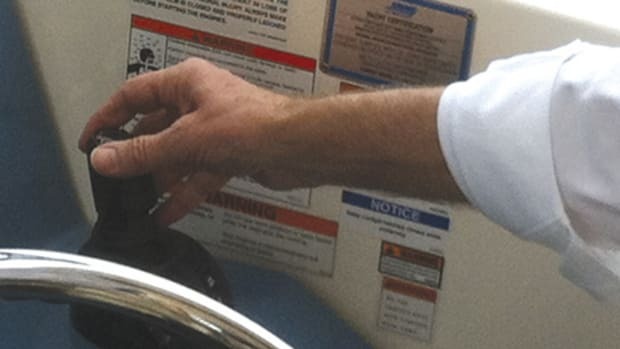 If you’ve ever taken delivery of a new boat, you may have experienced conflicting emotions. Sure, it was exciting to take delivery, but it might also have been hard to say goodbye to your old vessel. 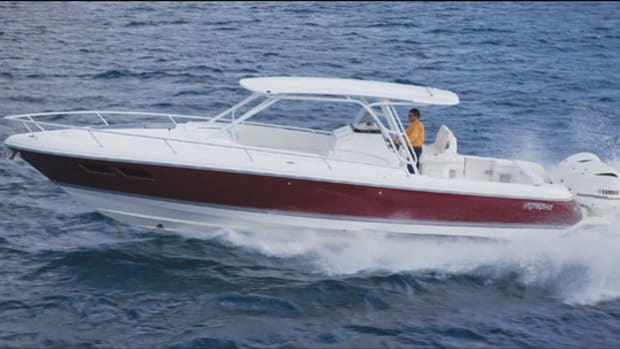 The levels of regret can vary greatly from person to person, and even from upgrade to upgrade; perhaps your old boat was the first one you took to the canyons or the first you ever used for a long-range family cruise. On the other hand, maybe she is forever embedded in your memory as the boat whose handling characteristics mimicked those of the last available supermarket cart—you know, the one with the dodgy wheel and a mind of its own. But what happens when saying goodbye comes back to haunt you? This is not another one of those maritime ghost stories. It’s the story of a man who after a 15-plus-year love affair with a boat he’d poured his heart, soul, and wallet into, said goodbye to her, and after she was gone, couldn’t stop thinking about her. But while this is where the story would end for most boaters, for Tommy Baker the story is different. He decided goodbye wouldn’t be forever and went to get her back. It all started 16 years ago, when Baker, a native of Charleston, South Carolina, returned to his hometown and began looking for a new boat. 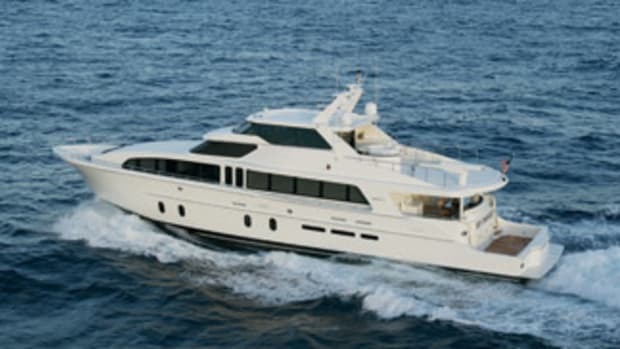 Although his boating experience had been limited to 20-foot-runabouts, Baker decided the time was right to buy himself a motoryacht. 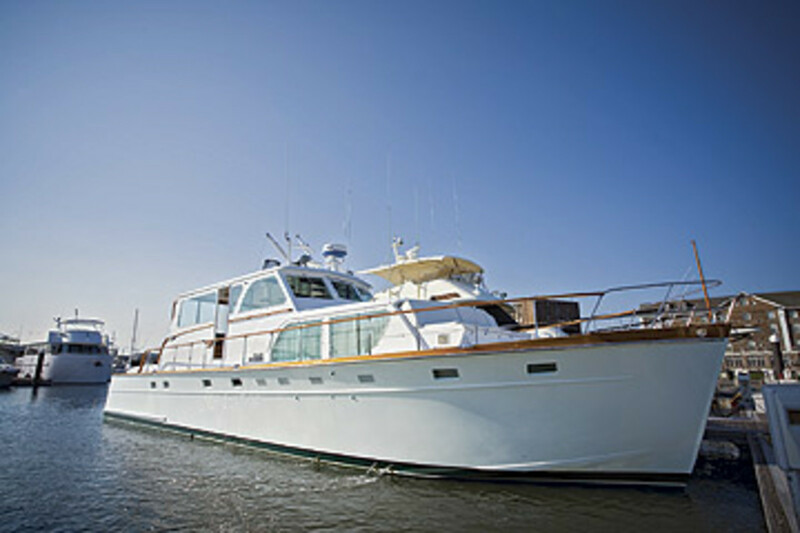 After months of looking, he found one: a 1973, 53-foot Huckins. 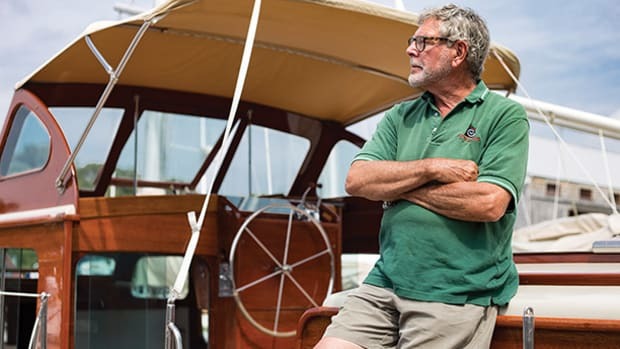 Although most people might have high-tailed it away from an old wooden boat, Baker, who knew little about the 53 other than what his broker had told him, decided to go for it. "I didn’t know a lot about boats, but I was drawn to her heritage," Baker recalls. "She’s like a Trumpy or an old Matthews. I had done some research on the Fairform Flyer and knew only a few of them were made and that they’d been used in WWII. 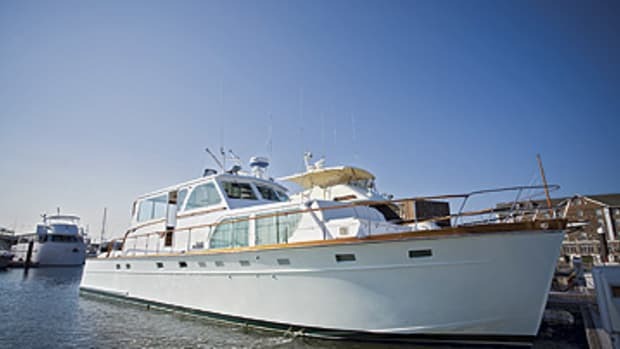 It’s a boat with a great lineage and a great heritage, and I just had to have her." Without looking back, Baker plunked down the cash and took his new boat, which he dubbed Lady Victoria, straight to the Huckins yard in Jacksonville, Florida, for a once over and then to her slip behind his house on Sullivan’s Island. Although Baker says he’s a "fast learner," handling a 53-footer proved quite a challenge. "My neighbors loved me for trying. They&apos;d literally drop everything, put their TVs on hold, grab a cocktail, say, ‘there’s ol’ Tommy out there tryin’ to dock the ol’ Lady Vic again,’ and watch me try to dock this thing. 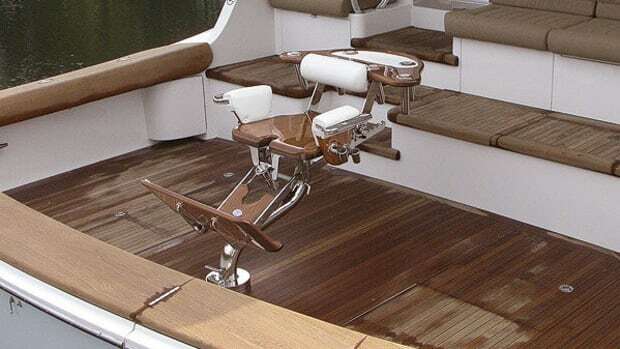 In the end, they loved me because they all got new docks out of it!"